“When looking at historical time frames, one must not look at averages of all rate hikes but rather what happened when a rate hiking campaign began from similar economic growth levels. Looking back in history we can only identify TWO previous times when the Fed began tightening monetary policy when economic growth rates were at 2% or less. 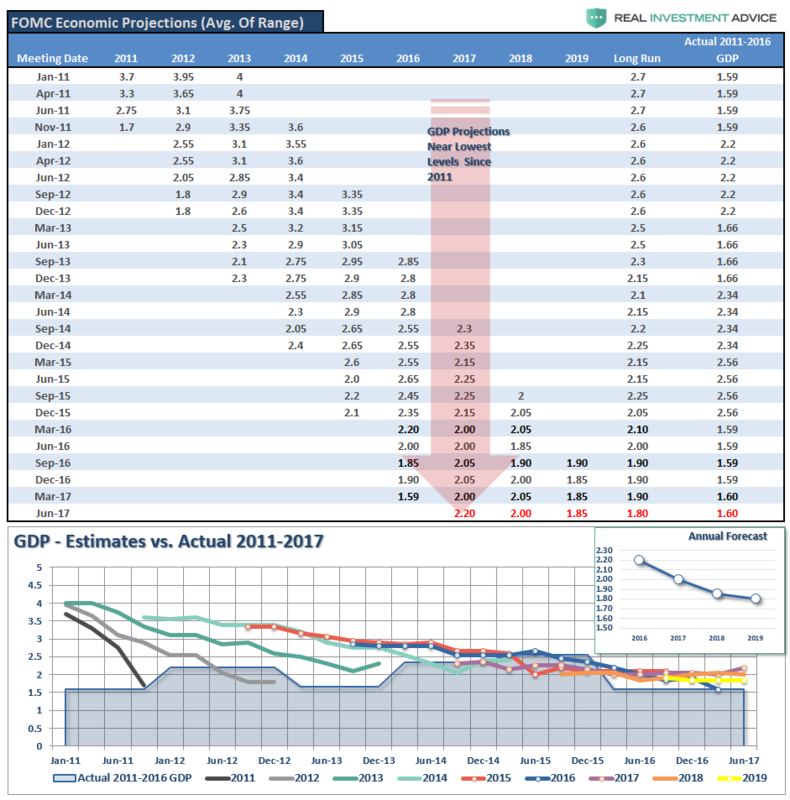 While the Federal Reserve continues with its absurd narrative and failing forecasts….. 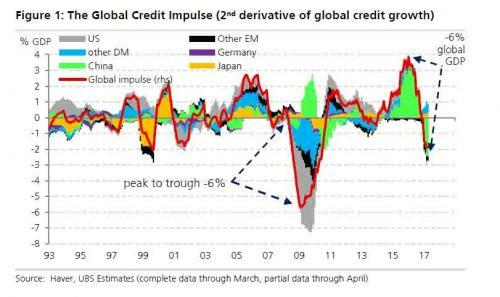 The Global Credit Impulse is turning down fast. 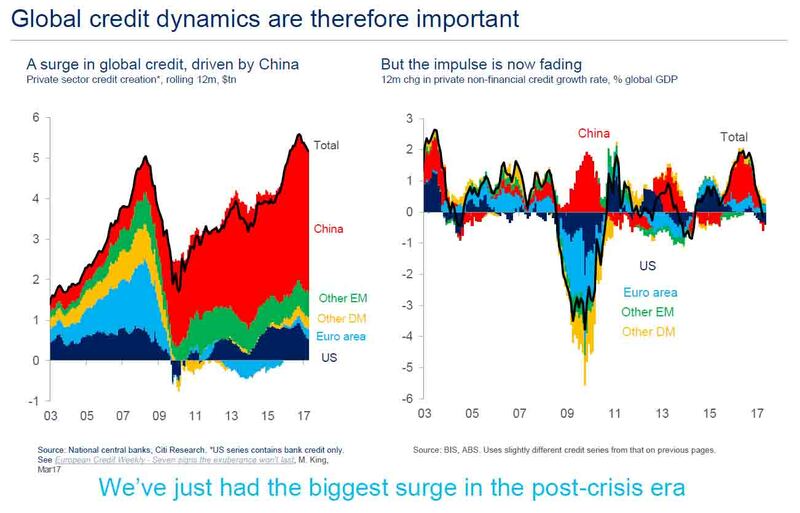 Very soon the central banks are going to have to come up with a new trick. This entry was posted in Notable Articles and tagged Financial Planning needs multiple what if analysis to stress test outcomes, Investment management needs to be adaptive and risk managed carefully when the Fed policy is so unstable and could change at any time. Bookmark the permalink.